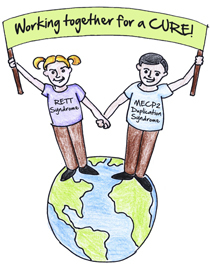 Although MECP2 Duplication Syndrome (or Xq28 Duplication) is correctly identified as a rare condition, available research suggests that it is not as rare as we once thought. For example, Japanese researchers published a 2014 study in Human Genome Variation that described from results of 1,250 patients with intellectual disabilities who had not received specific diagnoses. The researchers performed advance genetic testing on these 1,250 patients and found probable genetic causes for 17% of these individuals. Many different genetic conditions were found among these 17% of patients. However, one condition was found more frequently than any other. That condition was Xq28 duplication with duplication of the MECP2 gene. This suggests that MECP2 Duplication Syndrome is not nearly as rare as once believed and that many cases continue to go diagnosed. As strange as it may seem rare chromosomal disorders are quite common. 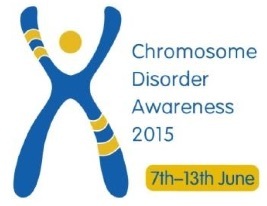 Sunday, June 7th, starts Chromosome Disorder Awareness Week. Unique is an international organization that raises awareness of chromosome disorders and their Awareness week kicks off 7 June 2015. For more information, check out their press release. Do the pieces of the puzzle fit? 1. MECP2 Duplication Syndrome results in deficient interferon gamma that produces poor resistance to certain kinds of infection. 2. Individuals with MECP2 Duplication Syndrome often develop osteoporosis. 3. Individuals with MECP2 Duplication Syndrome are at risk for bone fractures. 4. Interferon Gamma plays a significant role in the formation and maintenance of bones. This just published article may be an important step forward in understanding MECP2 Duplication Syndrome and other MECP2 related disorders. Genes don’t work in isolation; they interact with each other. Promoter genes are the genes that turn up the activity of other genes. 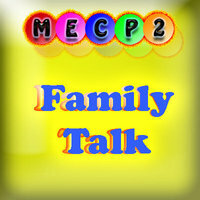 This article adds to the understanding of which other genes may interact with MECP2. It may help to understand why some individuals with MECP2 Duplications are more severely affected than others. It may also provide an early start to understanding how MECP2 Duplication Syndrome can be treated to reduce the overactivity of MECP2 and possibly reduce the severity of symptoms. It is a long way from producing practical help, but it is good to know that researchers are working on these basic issues. GEMSS: Genetics Educational Materials for School Success is a website that provides educational materials for school personnel to support the inclusion of students with genetic syndromes in the classroom. 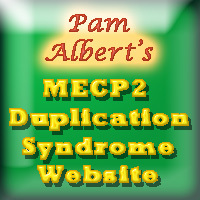 They have recently added a useful section on MECP2 duplication syndrome. The site also includes a sections on many other genetic conditions, such as Rett syndrome and Angelman syndrome. Regardless of the school placement of your child, this can be very helpful information to share with your child’s school.